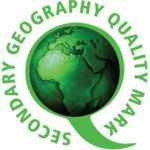 This is an excellent opportunity for a talented and enthusiastic Geography specialist looking to begin their teaching career or an experienced colleague looking for their next career move in a high-performing and over-subscribed school. We are seeking to appoint an inspiring colleague who can contribute to the development of the department and extend the teaching of Geography further at Saint Gregory’s. Saint Gregory’s Catholic College is a popular 11-18 co-educational school, founded on Catholic Christian values and with a strong family and community ethos. These values are the foundation of learning for our students, providing them with an academic start to life that is supportive, nurturing and inspiring. Saint Gregory’s has a well-deserved reputation for academic excellence, outstanding pastoral care and an excellent enrichment programme. Our most recent Ofsted and Diocesan inspections judged us to be outstanding in every area and we are committed to maintaining and developing that high standard. Enthusiasm and motivation for exemplary teaching and learning. 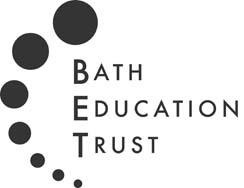 If you would like to be a part of this successful and thriving school, and are a suitably qualified and highly motivated professional, we would like to hear from you. For an open conversation about the role and/or to arrange a visit prior to application, please contact the Headmistress’ PA, Mrs Gormley, on 01225 838200 or email gormleys@st-gregorys.org.uk to arrange a suitable time. We are an equal opportunities employer and are committed to the safeguarding and welfare of our students and expect all staff to share this commitment. An enhanced disclosure from the Disclosure and Barring Service is required for all successful applicants. Applications should be posted or emailed to Mrs Gormley, Saint Gregory’s, Combe Hay Lane, Odd Down, Bath, BA2 8PA. They may also be submitted by email to: hr@st-gregorys.org.uk. Please note that we are unable to accept CVs.